Sometimes less is more. The world-famous quality of German beer is a testament to this. Since 1516, the Purity Law (German Reinheitsgebot) has required that all German beers be brewed with nothing more than barley, hops, and water. More than 500 years later, this royal decree remains the law of the land. The constraints it has imposed have led German breweries to perfect the classic beers, many of which have come to be adored worldwide. The German love for beer is so enthusiastic that the Bavarian capital Munich hosts a two-week long festival every fall to celebrate it. More than 6.2 million visitors attended the Oktoberfest celebrations in Munich in 2017 to partake in the world’s largest folk festival, don Lederhosen and Dirndl, and consume endless bratwurst, pretzels, and beer. But what is Oktoberfest beer? And what’s so special about it that it deserves its own two-week-long celebration? 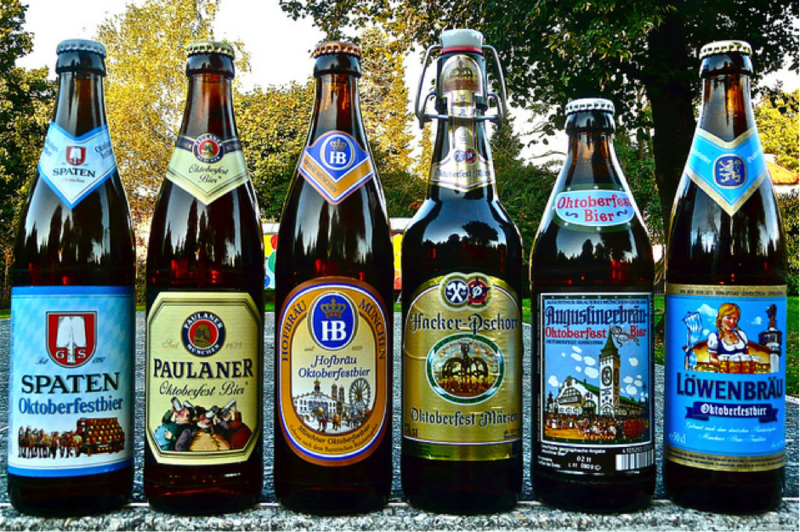 Which Munich breweries actually produce Oktoberfest beer? Where can you get a taste of these beers? We answer these questions in more in our Ultimate Guide to Munich Breweries and Oktoberfest Beer. Oktoberfest beer falls into two categories: official Oktoberfest beer, and Oktoberfest-style beer. “Six Ways to do it Right.” – An advertisement for the original Munich breweries. Oktoberfest-style beers are those inspired by the history and tradition of Munich’s Oktoberfest. This style can be classified as a Bavarian Märzen. It’s name from the German word for the month of March, the time in which monks would traditionally lay the beginnings of the beer down in caves so that it would ferment over the course of the summer and be ready for drinking come fall. Märzen is an amber lager. It typically has a coppery color, a full-bodied maltiness, and hints of spice and dryness. Oktoberfest-style beers are brewed all over the world, including in the USA. 9 Oktoberfest-style beers brewed in the USA. Photo and review by Gear Patrol. Oktoberfest-style beers do overlap with official Oktoberfest beers. Each of the big six Munich breweries brew a Märzen specifically for the festival under the name of Oktoberfestbier or Oktoberfest Märzen. If you want to get a taste of the real deal at Oktoberfest in Munich, these are the beers you need to order. The official Oktoberfest beers from Munich breweries. Which Munich breweries make Oktoberfest beer? 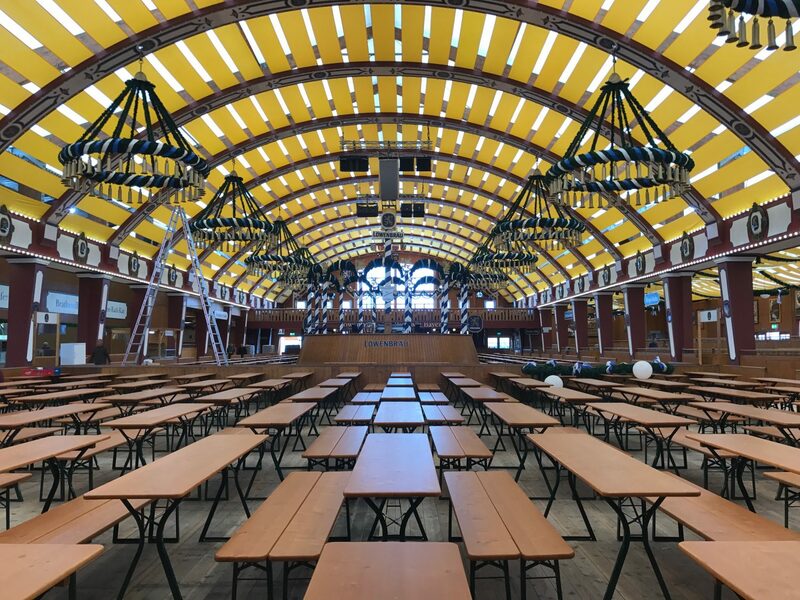 Each of these “Big Six” Munich Breweries has a beer tent on the Wiesn, the Oktoberfest festival grounds. 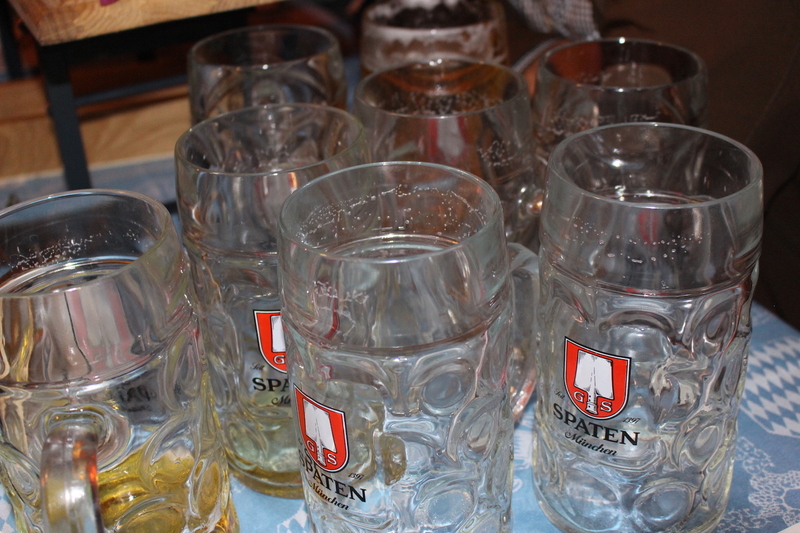 In addition, they will typically host parties in their own biergartens, beer halls, and breweries during the festival. First opened in Munich in 1690, Löwenbräu is one of the most iconic names in German beer. Furthermore, they have been participating in the Oktoberfest celebrations since the very beginning. Since the festival started in 1810, Löwenbräu has always been on the menu. During the festivities, Löwenbräu sponsors two beer tents: Löwenbräu-Festhalle and the Schützenfestzelt. Their annual Oktoberfest beer has an ABV of 6.1%. Löwenbräu means “lion brew” in German, and this brewery features a lion in its logo. If you are looking for the Löwenbräu tent at Oktoberfest, keep your eyes peeled for the gigantic, roaring mechanical lion perched on top of the tent. You can’t miss it! Among the oldest Germany breweries still in operation today, Spaten has been brewing beer in the Munich area since 1397. Although originally run by monks, over the past two centuries Spaten has been managed by the Sedlmyer family. The letters GS on its crest stand for Gabriel Sedlmyer, the first in the family to take over the company. Franziskaner also belongs to the Spaten brand. Having first introduced their own Märzen in 1841, Spaten knows a thing or two about brewing a delicious Oktoberfest beer. Theirs in particular has an ABV of 5.9%. Visit one of their four Oktoberfest tents to try it: Schottenhammel, the Marstall, the Ochsenbraterei, or the Spaten-Zelt. Founded in 1589 by Wilhelm V, Duke of Bavaria, Hofbräu remains to this day a brewery run by the Bavarian government. The beers they have brewed in their more than 400-year tenure have very much been subject to royal whims. For instance, Maximilian I, son and heir of Wilhelm V, simply didn’t like dark beers. Thus he decided to forbid every other brewery in the area from producing wheat beers so that Hofbräu could monopolize its production and perfect the recipe. 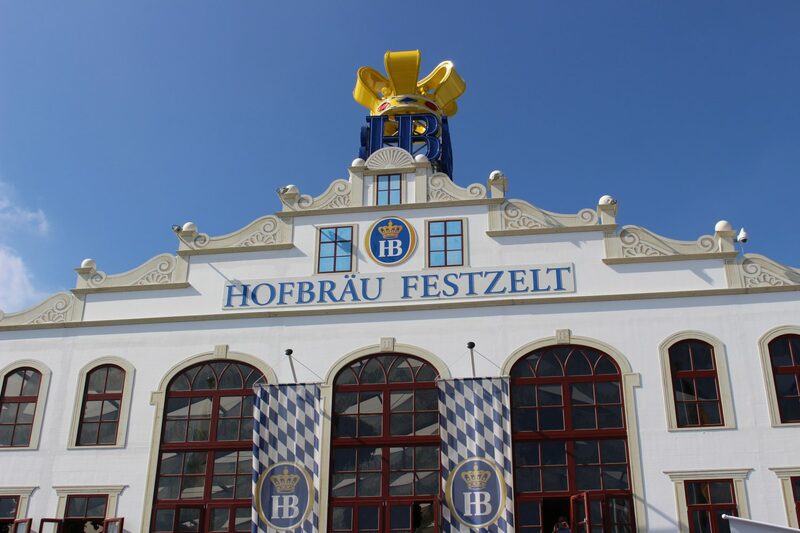 The Hofbräu Festzelt is among the largest of all the tents at the whole of Oktoberfest. If you are looking for the most booze for your buck, their Oktoberfest beer is the strongest of the bunch with an ABV of 6.3%. Founded in the old Augustiner Monastery in 1328, Augustiner is the oldest of the Munich breweries still in operation today. A lot has changed over the last 700 years, but the craftsmanship has not. 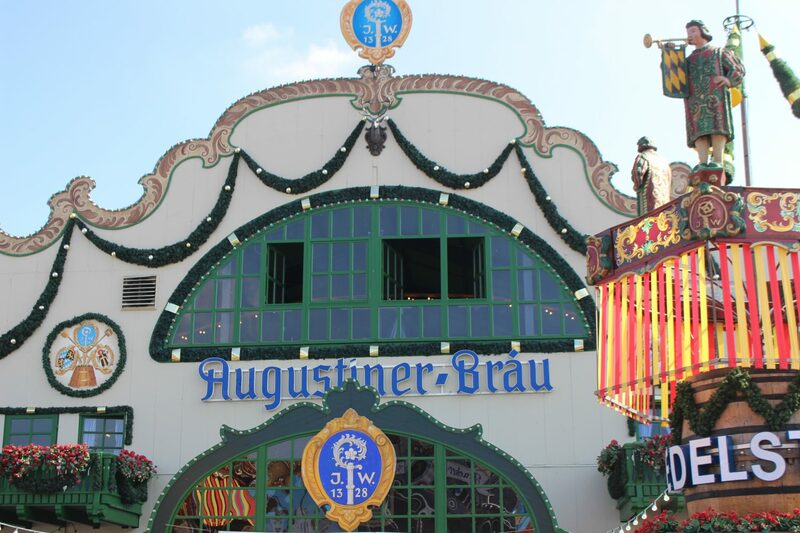 Augustiner is the only Munich brewery left that still stores beer using wooden barrels. This fact makes Augustiner one of the favorites at Oktoberfest as this is the only brewery who will poor you a beer directly from a wooden barrel. Augustiner Oktoberfest beer can be found in both the Augustiner-Festzelt and Fischer Vroni. Their Oktoberfest brew has an ABV of 6%. The Hacker beer tradition dates back to 1417, but Hacker-Pschorr is the result of a merger in the 1970s of two Munich breweries. The two names were intertwined since the late 18th century, exchanging hands between the Hackers and the Pschorrs several times. Despite the complex history, it was Jospeh Pschorr who was specially commissioned by the Crown Prince of Bavaria in 1810 to create an original beer for his wedding. It was out of this celebration and this brew that the Oktoberfest tradition was born. Hacker-Pschorr beers can be recognized by theirs classic flip-top bottles. With an ABV of 5.8%, their Oktoberfest beer is the lightest of the bunch. You can taste it at the Hacker-Zelt and the Pschorr-Bräurosl. Though technically the youngest of the Munich breweries represented at Oktoberfest, dating back to 1634, Paulaner is hardly a new-comer. Its beers are brewed in the tradition of the Paulaner Monks, whose creative loophole for fasting during lent is responsible for tradition of Starkbier, or strong beer. 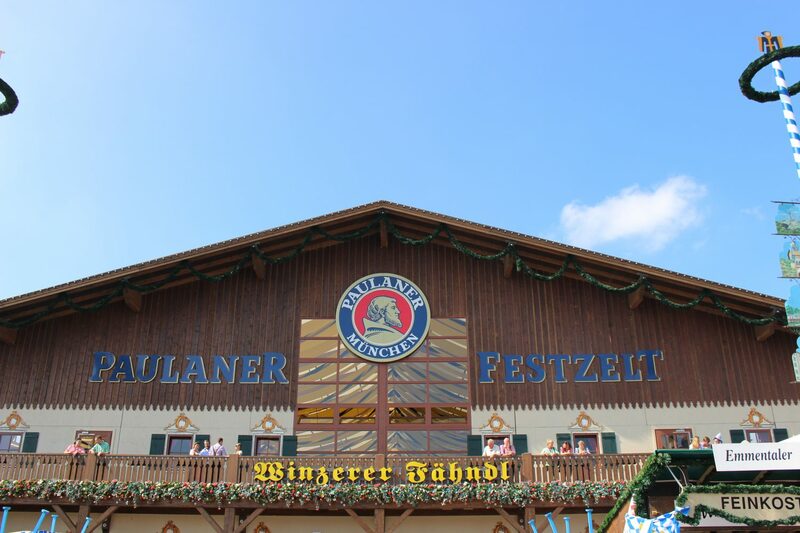 Paulaner’s Oktoberfest beer has an ABV of 6% and can be found in the Winzerer Fähndl, the Armbrustschützen-Zelt, the Käferzelt, and the Wine Tents. Ready to drink some of the best beer of your life? 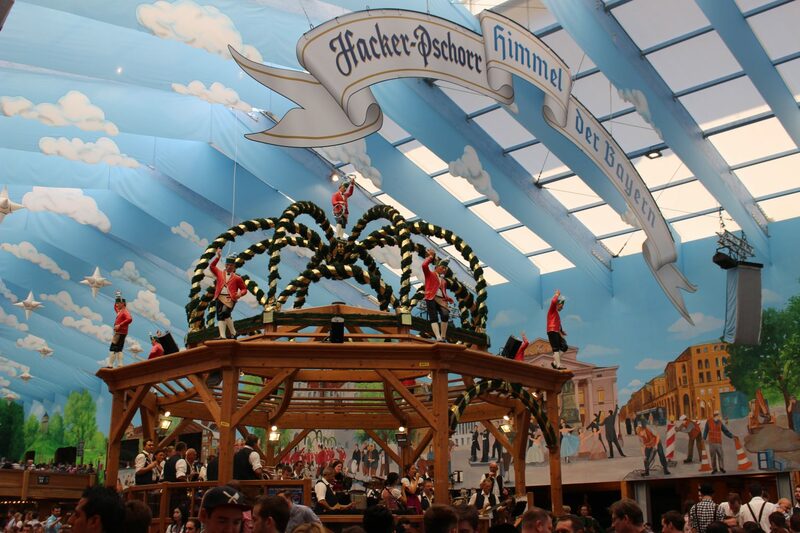 Join Bucket List Events at Oktoberfest in Munich for exclusive beer tent reservations, hotels, and city tours. We’ve put together the ultimate, most stress-free Oktoberfest travel experience you can dream of. For more information about traveling in Munich and Germany, check out 16 German Phrases to Learn for Oktoberfest and 18 German Castles and Palaces that Are Straight out of a Fairy Tale.